John Jorgenson Intro To Gypsy Jazz Guitar Volume 1 download. In this first of three volumes of Flatpicking Guitar Magazine’s new Gypsy Jazz Guitar instructional series, “Intro to Gypsy Jazz Guitar,” Jorgenson provides the foundational information and practice material necessary for you to gain an understanding of the Gypsy jazz guitar style. The first half of this volume addresses the important element of Gypsy jazz rhythm. The second half of this first volume addresses soloing. 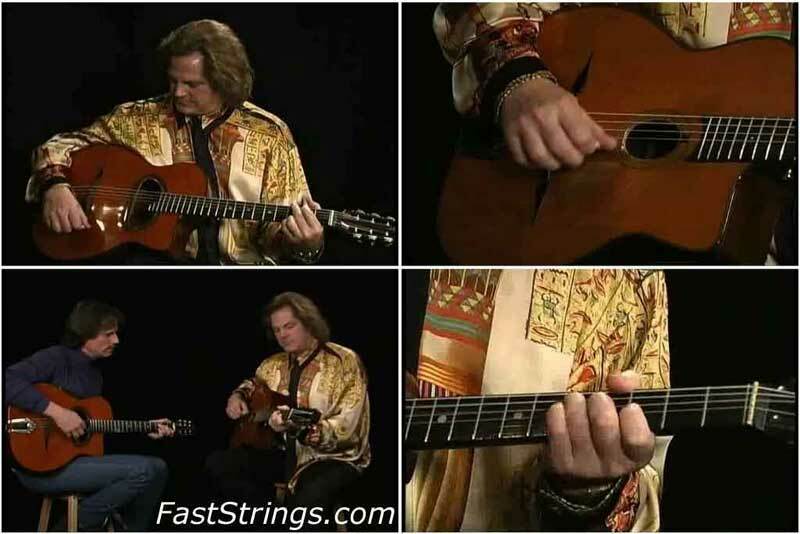 Each volume of this three-part series includes a 2-hour instructional DVD, an audio CD with practice audio tracks, and a full format book which presents all of the theoretical information, chord charts, fret board diagrams, music notation, and tablature for the material presented on the DVD. Bring John Jorgenson into your living room for a private guitar lesson! Learn to play Django-style jazz from the man who recreated Django Reinhardt’s music (as well as his look) for the feature film Head In The Clouds, starring Oscar-winning Best Actress Charlize Theron. Great Video, but is there any chance to get the book?! It’s really annoying to learn that stuff without it! So Admin, if you see any chances to get your hands on this booklet, please upload it!